Absolutely stunning little set. LOVE this! What a FUN giftie! 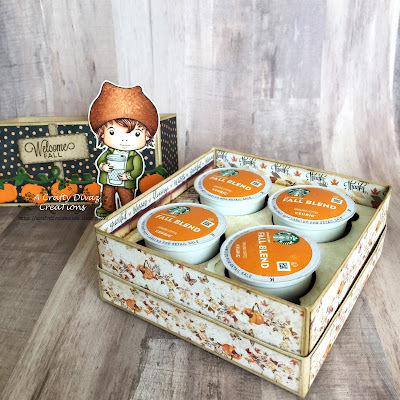 Love the idea of k cups as gifts! Ooh la la, what a fun, beautiful and creative project. Lucky friend! Such a beautiful gift set and your card is absolutely gorgeous! Such a darling sweet card and what a great cupholder. Perfect Autumn colors. Such a sweet set and love your fabulous design and coloring! What a lovely & special gift-thanks for joining us at Die Cut Diva's masculine challenge! Such a cute set, love it! Wowza! 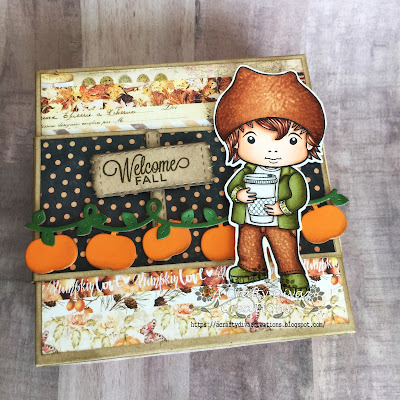 Beautiful box and embellishments... awesome coloring... fantastic gift! Ahhh! I love this!! Great job!! I am crazy obsessed with your coloring. Girl, you have some wizardry with those Copic markers. How do you do that?!?! OMG your coloring is fabulous! This card is amazing! 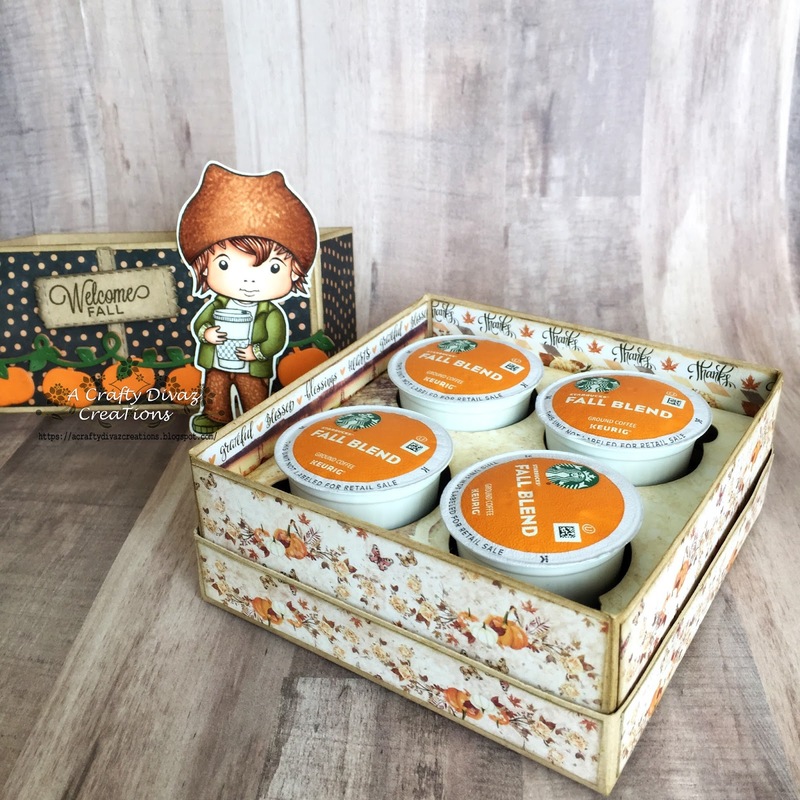 Thank you so much for joining us this week at Crafty Gals Corner! Wow, you go all out. Fun and time consuming job with lots of character. I love that little guy, all brightly colored. So glad you joined us at Die Cut Divas. Wow! Awesome! Thank you so much for participating in our 'More than one fold' challenge at Scor-Pal!